A small digital camera cannot adequately capture the massiveness of those TV screens. 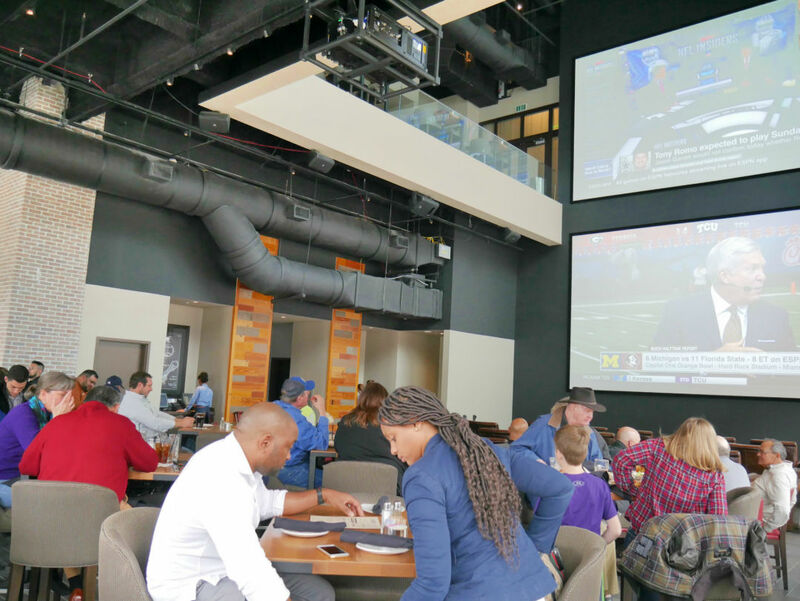 If you like walls of television screens three stories tall and plump leather recliners in which to watch them while sipping a Saint Arnold on draft, Biggio's is the place for you. If you like better-than-it-has-to-be sports bar fare at lower-than-they-have-to-be prices, Biggio's is conveniently also the place for you. "That's the first sports bar I've ever enjoyed eating at," I remarked to my husband as we paid our check on our first visit a couple of days ago. That's not to say I've never enjoyed a sports bar, per se—just not so much the food. 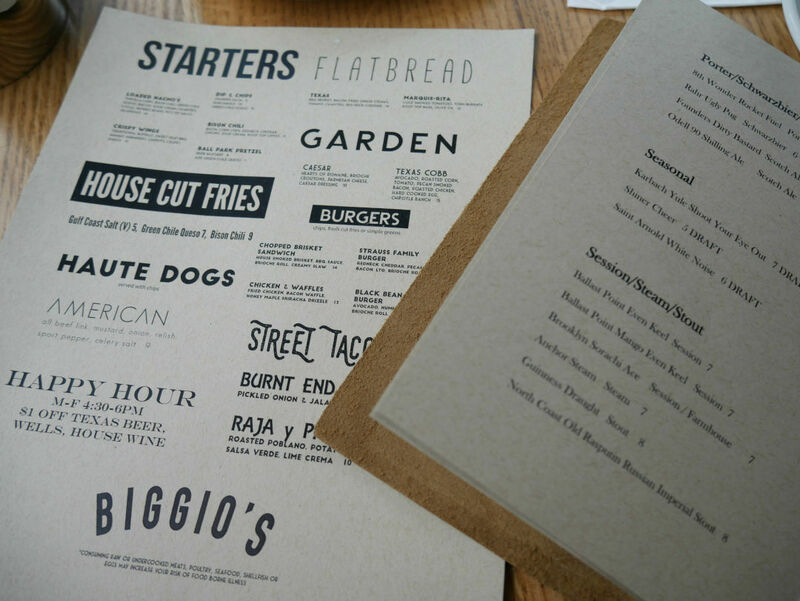 But at Biggio's I was pleasantly surprised to find a tidy, well-mannered, well-priced menu of classics: pretzels, chili, hot dogs, burgers, pizzas, tacos, a very respectable basket of thin fried chips and green chile-kicked queso. Equally good was a leather-bound menu of craft beers at equally reasonable prices. Biggio's also offers happy hour Monday through Friday from 4 to 6 p.m. 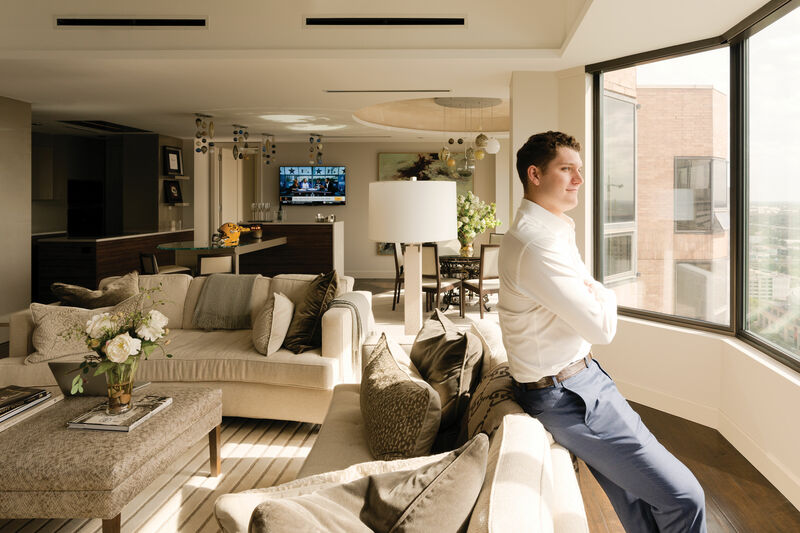 There are, to be sure, questions that loom over Biggio's, named in honor of famed former Houston Astros player Craig Biggio and constructed—along with the hotel in which it resides, the Marriott Marquis—in time for the Super Bowl. 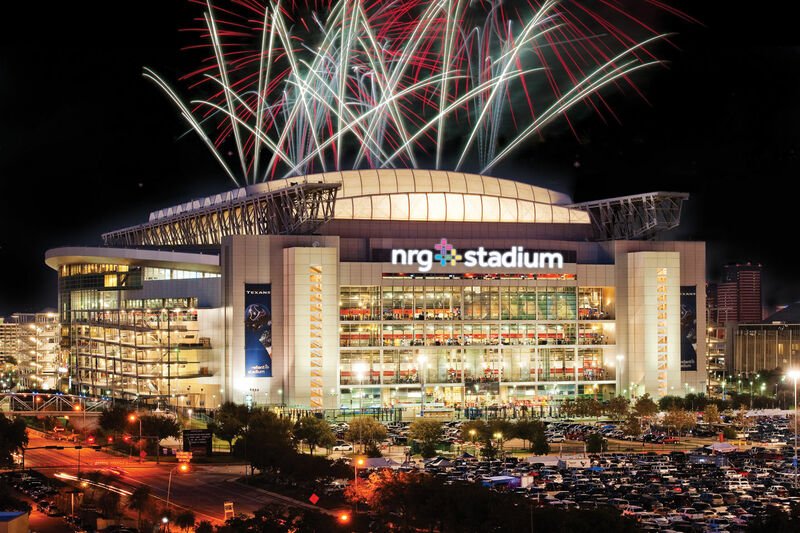 While its small house-sized TV screens, which span the length and height of the entire space and are visible from across Discovery Green, will surely draw visitors like moths to so many flames, will it maintain those same levels of interest once the Big Game has left town? Will its consistency and pricing remain intact, unlike so many other hotel restaurants around Houston? 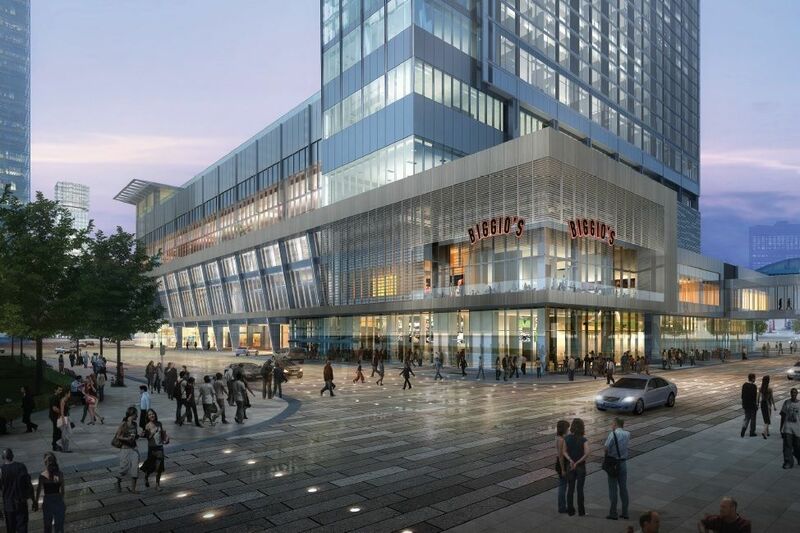 Will Houstonians care as much about all these fun new downtown restaurants once the Super Bowl is over? Will those plush leather recliners eventually be stained with layers of beer, its crevices filled with the remains of chips and queso baskets past? 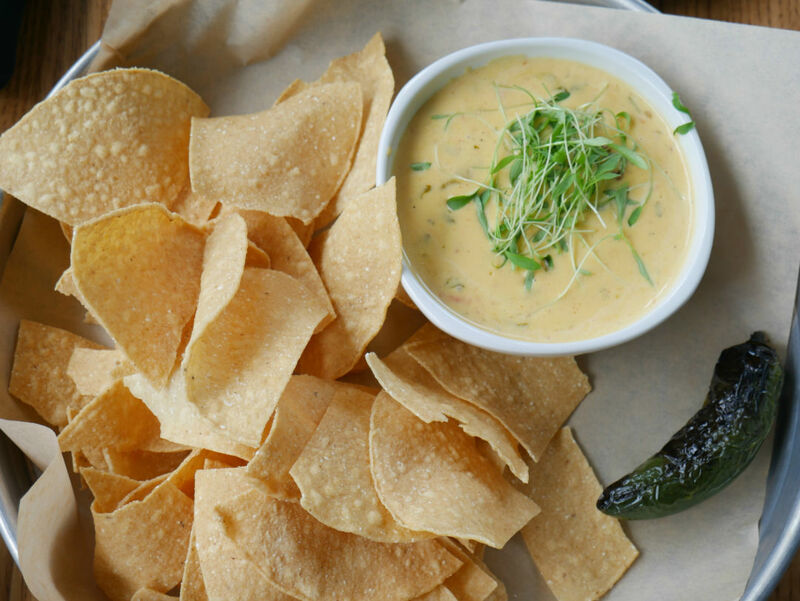 Pro-tip: cut up that roasted 'peño and mix it into the queso. What isn't a question for the moment, however, is the quality of the food Biggio's kitchen is currently turning out. The thick, slightly charred corn tortillas of my burnt-end brisket tacos were clearly made from scratch, while the brisket itself bore an admirable smokiness and juiciness. 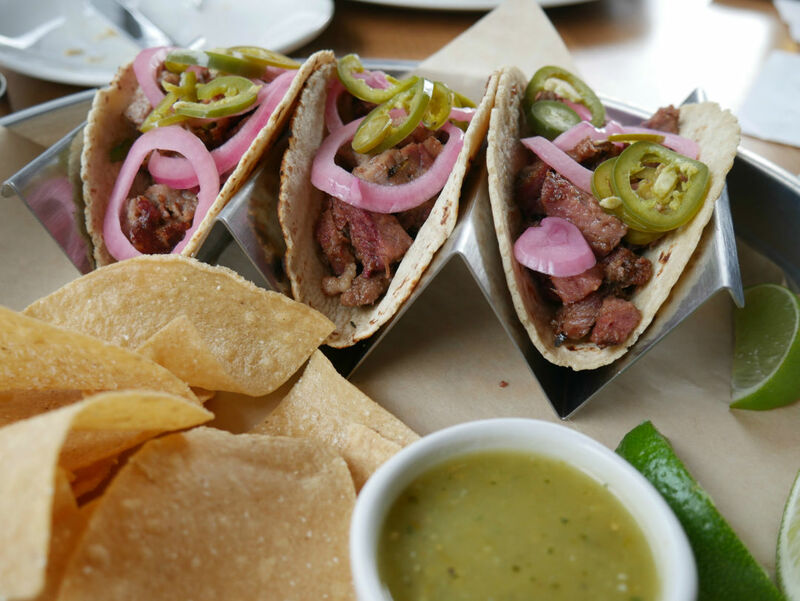 I appreciated the austere toppings—pickled red onions and jalapeños, with a few squirts of lime juice—that allowed the brisket and tortillas to stand out. It's nice to see a little restraint on a plate these days. I wished, too, I hadn't already filled up on chips prior, as my $12 plate of tacos also came with still more chips and a nice, tangy tomatillo salsa. Three fat burnt-end brisket tacos, $12. I'm not too concerned about what may come in the future for Biggio's. Houston will surprise you, keep you guessing. It could end up being as big a draw as the Texas-shaped lazy river on the rooftop deck of the Marquis that overlooks Discovery Green. Or it could end up a stale room full of chip-coated recliners. 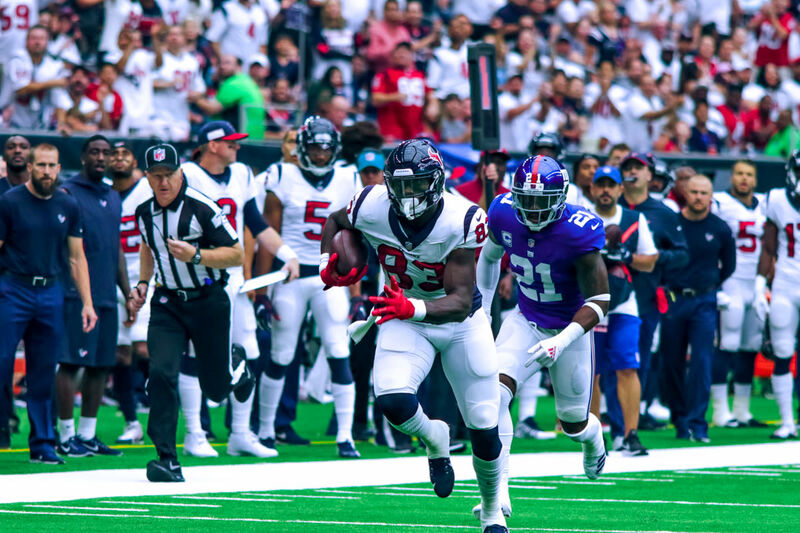 All I know is, for the moment, the food is great, the prices shockingly reasonable and the TV screens giant—and that's more than enough reason to make a return visit for today's Texans game. I can't think of a bigger place to watch it.